-Prepare payments according to GAAP following MUKIKUTE financial policies and Donor operating policies making sure necessary approvals are sought before actual payments. -Preparation of MUKIKUTE financial reports which include General ledger, Cashbook, Bank reconciliation and balance Invoice reconciliation, submitting timely to the donor. -In close coordination with programme manager monitor spending against budgets for the program to ensure no overspending takes place and forecast cash requirements to timely meet administrative and project expenditures. -Maintain an updated and complete Fixed Asset Register within MUKIKUTE level, Perform assets inventory at least twice a year and making sure that all assets are tagged. -Manage all Travel and activity advances issued to staff within the Program by ensuring that they accounted for on time, no advances are issued before retiring previous one. -Review program staff retirements, which includes expenditure verification to the beneficiaries and ensure retirements are properly approved with the relevant backups before posting into ledgers. -Payroll preparation which include correct computation of statutory contributions and timely remittance to respective authorities. -Support Internal and External Audits in MUKIKUTE including Donor audits. 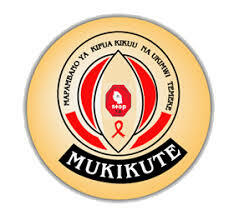 Mukikute-National Patient Organisation- is a Tanzanian non-governmental organization (NGO) headquartered in Dar es Salaam, whose mission is to mobilize Community to fight TB and HIV/AIDS in Tanzania until it is no longer a public health problem. Currently MUKIKUTE is implementing the Sauti Project, awarded by USAID to Jhpiego and partners EngenderHealth, Pact and the National Institute for Medical Research (NIMR) Mwanza. The project seeks to contribute to the improved health status of all Tanzanians through a sustained reduction in new HIV infections in support of the United Republic of Tanzania’s (URT) commitment to HIV prevention. Send your application to bwanadickens@yahoo.com and cc info@mukikute.org .After review of CVs; we will have an interview for the best 4-5 candidates one week after the application deadline.